I often get asked about the differences between traditional publishing and self-publishing. In particular, many entrepreneurs and bloggers want to know which direction they should take. They know that there are pros and cons of both traditional publishing and self-publishing, but they’re not sure what the right choice is for them and their businesses. In this episode, I’m featuring an interview with Bonnie Taub-Dix. Bonnie has a unique perspective because she initially published her book with a traditional publisher. Then, years down the road when she decided the book needed to be updated, she acquired the rights from her publisher and self-published her second edition. That means that Bonnie has some great insight into both sides of the publishing game. Bonnie Taub-Dix, MA,RDN,CDN is the award-winning author of, Read It Before You Eat It – Taking You from Label to Table, and creator of the website and blog called, BetterThanDieting.com. Bonnie is a media personality, media trainer, spokesperson, motivational speaker, journalist, and corporate and brand consultant whose messages are laced with her culinary passion as a foodie, her credible guidance as an advisor and her wit and wisdom as a mom. Bonnie is Director and Owner of BTD Nutrition Consultants, LLC, with offices on Long Island and in New York City. She is also a Health & Wellness Blogger and Contributor for TODAY.com, US News & World Report, Everyday Health, INSIDER, THRIVE Global, Better Homes & Gardens, Family Circle and Vitamin Shoppe’s What’s Good V. Her stories, quotes, and interviews have appeared in thousands of stories in all forms of media comprised of television and radio shows and print and online platforms. All of that media experience makes Bonnie a true expert in what it takes to be featured in the media, especially if you’re a health and wellness professional. So, be sure to keep an ear out for the great publicity tips that Bonnie drops in the interview, too! Beth: Thank you very much for taking the time to come on the Blogger to Author Podcast, Bonnie, I really appreciate it. Bonnie: Thanks for having me here. Beth: Of course. So I would like to start out by getting the basics about you and getting to know you a little bit more. So could you tell us who you are, what you do, and just a general background of everything you do? Bonnie: Wow. Okay. So my name is Bonnie and I am a, I’m a nutrition consultant. I have an office, private practice office in Manhattan and also out on Long Island, but I do a lot of consulting for brands. Um, years ago it used to be about 20 percent of my business was brands and 80 percent private patients and now it’s just the opposite. So for these brands, I am a spokesperson. I do um, media training. I helped them with messaging on social media. I’m also a journalist, so I write for today.com. I also write for a family circle in US news and world report and everyday health and vitamin shoppe insider and a few other sites. Bonnie: I have been in this business for a very long time, so I’ve seen it all and um, I think that will kind of makes me stand out is that I have really been through this for so long that I’ve seen what it’s like to work with traditional media all the way through how things have changed in terms of social media and um, I said, hey, we’re here to talk a lot about my book called read it before you eat it, taking you from label to the table, but I have also coauthored other books, books, and also have written sections in other books that I have been asked to write chapters four. So I’ve been writing for a also a very long time. Beth: Yeah, absolutely. So that’s exactly what I wanted to have you on. And first I would really love to dig into, you know, the main book that you mentioned, read it before you eat it. So could you give us a…well, first of all, just give us a brief rundown of what the book is about and then tell us the story of how that was written and created in public? Bonnie: I think you’d be surprised about that story. I wrote this book because I adore food shopping and I know that many people listening really don’t share my passion for buying food and putting it in my cart and reading labels, but a visit to the supermarket could be costly and it could be costly when it comes to time when it comes to money and sometimes even calories. And what I find to be fascinating is that we spend so much more time shopping for the things that go on our bodies, meaning clothes and shoes. Then we spend shopping for things that go in our bodies like food, which should be of utmost importance to ourselves and to our family. So I wanted to write a book that would literally literally be like taking a nutritionist to the store with you. Bonnie: So, the first half of my book tells you everything you’d want to know about everything that’s on the food label, including a section on what to shop or if you have high blood pressure or diabetes or if you have food intolerances or sensitivities like lactose intolerance or gluten intolerance. And the book also addresses the difference between organic and conventional foods. Bonnie: I tried to pick on things that I’m, most of my patients have asked me about overall these years, um, and things that I get questions about from media because they also do a lot of media interviews at least three to four week for top tier of magazines and publications. So I also went by the questions that they were asking me and I thought that if they’re asking me this is what people want to know about. And the second half of my book is literally an aisle by aisle grocery tour to highlight the differences between fresh, frozen, canned and dried foods in every category you could think of. Bonnie: But also what’s interesting about my book is that it’s almost 300 pages long and not one brand name is mentioned. So when I wrote this book, I was a spokesperson for the Academy of Nutrition and dietetics and I wasn’t allowed to mention brands, but I also thought that if I don’t mention brands then this opens up my book to anyone who wants to shop anywhere in the country and that any price point so it didn’t limit to certain products because I know there are books that are out there about supermarket shopping, but they mentioned some products in particular that you may not find in your store. And my book also has tips about how to create a super shopping list which also could save you time and money. And I get my best tips for how I create a shopping list and what has also worked for me. Bonnie: My favorite chapter of the book is a chapter that, by the way, I’m giving away for free. So if you go to my website, which is better than dieting.com, you’ll find this chapter which is about tricky terms like enriched in or the words natural or free range. What does free range mean? Do you think the animals are like high fiving each other in the fields? No. Um, it just means that there’s access to the outdoors, but it doesn’t mean the animals are going up there. So I really break down what all of these tricky terms mean. So be sure to grab your free chapter by going to better than dieting.com. Beth: Yeah, absolutely. Great Resource. Right? Bonnie: It really is. And find my blog is there too and I have a lot of recipes on my site. Bonnie: Well, and you know, I think that since you know, I work in media, one of the things that I really wanted to accomplish with this book is to dismiss some of those scary headlines that we often see that make people afraid to eat that, that are more hype than helpful. Um, for example, just shop the perimeter of the store or only buy foods with five ingredients. I really don’t like those sayings and expressions because they don’t make sense to me because I could show you better ways to shop. So I tried to put all that in my book. Also making sensible headlines as opposed to the sensational headlines. Beth: Yeah, absolutely. And so when you were putting together your book, was your main goal just to create a resource that would educate people or did you see the book as a way to leverage even more media attention or. I guess my question here is: what was your main goal when you decided to sit down and write a book? Bonnie: My main goal was really just to help people shop for food because so many people are overwhelmed by that. And as a mom of three, I loved taking my kids to the supermarket since they were big enough to sit in a car. They came with me and we played food games. As they got older we read food labels and now my kids are all grown out of the house and they love to eat. They still call me from the supermarket, which really like I could cry thinking about it. Um, and, and I just really wanted it to be a realistic way to buy food. What then happened is that lots of brands wanted to work with me because of my book made sense and they found that their products are really highlighted in my book without a name being mentioned because I just talk about the positive attributes of certain foods. So, um, it really became a great marketing tool for me and then I went on book tours and I have done thousands of media interviews related to my book and flew chopping, so it kind of had a secondary, a positive effect that I didn’t think as much about at the time. But then as I was writing it, I thought this could really go far. Beth: Yeah, definitely. And so I’d love to get a little bit deeper into the process that you went through to actually publish your book and particularly because I love the insight you have and ask you a series of questions here, but just listeners to give you a little bit of background. Bonnie first, traditionally published her book, then got the rights back and decided to self publish an updated version. But I want to talk about that first version. So Bonnie, could you tell us about how you found your publisher and then what it was like working with a traditional publisher? Bonnie: Yes, sure. And you’re not going to believe how this unfolded. So there is a book that I want them to write for years and it was really nothing like this. It was all about being introspective about eating and dieting. What I believed I’m really works, especially because I was in practice for years and I saw at work with my private patients. So I found an agent and it took about a year to write the proposal, finished the proposal, sent it into him. We were just about to send it out and he called me and said, listen. And publisher contacted me and they want a book written. I think we should put your book on hold. You should write this other book, get your foot in the door with publishing and then we could move on from there. And I said, all right, fine. What’s the book about? Bonnie: And he said, food labels. And I said, absolutely not. I am not going to write about that topic. And so confusing. He said before you say, no, just think about it. I said, fine. He said, I’ll give you a day. So I hung up from him, went online and tried to look about to look up books about food shopping to see what the competitors would be, and there literally was nothing out there that was written in the language that consumers would understand. So I called them back and I said, all right, so what’s involved? And he said, just write a two page outline on what you would do and I’m going to hand it in to the publisher. So after taking a year to write my proposal, I did a two page outline. He called me back and said, you’re in there. It was, it was a major publisher was penguin plume books. Bonnie: And uh, I had a year and a half to write the book. The first year I didn’t write anything because I really didn’t want to do this. And then in six months I wrote my book. And the funny thing that happened is that I had about eight weeks left to write the book and I still had so much more to do and I couldn’t imagine how I would get it done. And it was my husband’s birthday. We went out to play mini golf and on the last hole I was winning by the way. I broke my foot and I went to the hospital and the doctor said, I have bad news for you and you can even put your foot down for eight weeks. You have to stay off your foot for eight weeks. And I couldn’t believe that that actually happened. There you go. That was my eight weeks to write my book. I even thanked my foot in my acknowledgements and I was so glad I didn’t fall my hands. Oh Wow. Yes. Oh my goodness. That was awful. Bonnie: That was the traditional way. And what I found with my publisher is that when you, when you write for a big publisher, of course, it depends on the publisher and things could be different now, but they were very willing to send out books to anyone that I wanted them to send it to. But in terms of getting stories, promotions, things like that, that was all about me, all of that, they didn’t do any of that. And I think that, um, they might encourage you to get a publicist if you want to do more publicity for your book, but this is why, and we can talk a little bit more about it later, but I teach a media class on media training on how to get the word out there, how to get your name in the media. If you are an author, then this class would be perfect for you because it’s all about how to pitch stories and then your stories can be all about your book. So, um, I had to do all of that myself, which is very different than what we’re also going to talk about, which is then moving on to self publishing. Beth: Yeah. So since you brought it up, can you tell us, I guess, why you decided to reacquire the rights to that book and then self published and updated version of that, like what was behind your decision making and then how did you go about that process? Bonnie: So what happened was my book was originally published in 2011 and since then so much has changed with food labels. Just to give you one example, the new label will include added sugar. So instead of sugar just being lifted as you know, I’m going to the carbohydrates or sugar, it will now have sugar and added sugar to tell you what the manufacturer is putting in, which is really important for consumers and even though it is not into law yet, a lot of manufacturers are already doing that. So that’s just one small example of some of the labeling changes that are taking place. So I wanted to update my book because it really, really needed it. And I also had learned about CreateSpace where you could put your book on CreateSpace and if someone wanted to order a print version they could order it and they would literally get a paper back in the mail. Bonnie: But this book is very malleable in the respect that you could change anything you wanted it and then that becomes part of the new book. So it really left the door open for me because since so much has changed with labels, I didn’t want to go to a traditional publisher again published another edition and then have to change it again. So this offered so much flexibility for me, but then it also offered the ability for me to do whatever I want with my book. So if at some point I do want to mention brands in there and I can and I could, it could be ever changing. So this offered also a digital version for my book, which the static published version did not. Beth: Yes. Yes. And You bring up a good point. It’s absolutely easier to publish new editions when you have a, you know, when you have the self published book that’s through a print on demand service and then just fixing typos too. It’s easier. So what was the process like where, because when you started out, you worked with a traditional publisher, they actually own the rights to the book. So how did you go about negotiating with them to essentially give you the ability to publish a new edition? Bonnie: It really didn’t take that much for my particular book. Um, I just said that I wanted the rights to book because the book because so much had changed and um, they were just willing to give it to me so I had to write a letter to them. Um, and then they wrote a letter back to me saying that I could have the rights to the book. So I don’t know if that’s the way that it would work across the board for other people. I would assume that it’s different than depending on the publisher and the book. But, um, I just found that to be a very simple way to do it. And I was so happy to have the book and my power. The only thing that I had to do is change the title and actually changed the cover. I didn’t have to change a title, but I did change the title and here’s a funny story, but the title. Bonnie: So when my book first I was going to be published, they needed a title for me and I must have sent it about 50 titles and they rejected them all. They gonna like any of them. So one day I was in the car with my son taking him to a saxophone lesson and I said, listen, you’re a smart kid. Tend to come up with a name for my book. And he said, I don’t know what about like read it before you eat it, am I call the publisher while he was in the car? And they said to me, finally you came up with a good name. So my nine year old son was the one who actually thought of the title of my book, but they came up with the subtitle of how to decode labels on food and pick the healthiest food in the store, which to me was not my favorite subtitle. So my subtitle now is, it’s reading before you eat it, taking you from label to the table, because that’s really the heart of the book. I want people to go to the store, buy my book, go to the store, see what they should buy, bring it home, unpack and serve it to their families and be, you know, have peace of mind to know that they did a great job of that and that they’re fueling themselves and their families. Beth: Yeah, absolutely. And so, Bonnie, for anybody listening to this interview, particularly RDs — I know that I have a number of RDs who listen to the podcast, but just anybody in general who’s thinking about publishing a nonfiction book, what advice do you have for them? Bonnie: Oh Gosh. So much. And this is also stuff that I talk about in my media training class and if anybody is interested in my media training class, you could go to my website betterthandieting.com and you’ll see that there’s a link to that page. But see, to me, writing a book, um, adds so much to your profile. It adds credibility. And yes, there are plenty of people out there who write books or not credible who are not really giving good information. But I’m talking to you who has a good you bet, but you, your audience and you do that. You have a credible message to convey. Bonnie: And by writing a book you could really put your heart and soul into it, but you have to be ready to put your heart and soul into it and your time. And it is, it is so incredibly time consuming. But it is so worth it. And I think that it’s to realize what a springboard this book could also be for working with media and whether it’s writing stories for magazines or newspapers or online publications or even going on TV. So many of the stories that I started writing or was interviewed for landed up as being TV segments, so you never know where this takes you and I think that it’s just so important to, um, to get your words on paper, so to speak, paper and, um, and to get it out there. Beth: Yeah, absolutely. And listeners, I will make sure to put a link to Bonnie’s media training class in the show notes so that you can access that there. Um, and for really, I guess for any authors or authors to be listening, do you have any tips that you would share with them about getting more media attention for their bulk and really their platform and just spreading who they are and their message with a wider audience? Bonnie: Two really important words are just write. In my course, I also describe how you shouldn’t get hung up on grammar or spelling or sentence flow. Just write. Sometimes I write something and I literally get giddy over what I scratched out on paper because I think it’s a wonderful. And then I’ll pick it up a week later and I can’t even believe that. I thought that was even good. And I say like, what was I thinking? Even seasoned writers that need a few drafts before they’re satisfied, if they’re ever satisfied. And it’s a good thing. I have deadlines for stories that I have to hand in. Otherwise I would be changing them forever. So always bring a pen and paper with you. I keep a pen and paper by my bedside and I would hate to admit, but I do that sometimes. I wake up in the middle of the night and I write something down that comes to my mind for a story idea. Bonnie: And when you’re writing a book, Oh my gosh, you know, how people count sheep. I was counting grams of protein and it, you know, it just kept me up nights and even like dog hated men, my writing a book because he was up with me while I was spent endless nights of but just right. Because you never know where your inspiration will hit. And um, and I think that it’s just really important to get your thoughts down on paper, don’t worry about even if it’s random and different subjects, just just write it down because you may not remember it again, and then you could build upon those thoughts as you go along. Bonnie: Anytime, anytime. I mean it’s, it’s so wonderful when you have something that you feel passionate about and you could put it down on paper and share with others. And I think that when I first went into media, what I found to be most rewarding is that if I would see a patient one to one in my office, yes I could look them in the eye and get to them. But it is so incredibly rewarding to know that you are reaching hundreds, maybe thousands, maybe millions if you’re lucky of people all at once. Just buy something that you have written. Beth: Yes, absolutely. I completely agree. And so Bonnie, I know you mentioned this, but one more time, can you tell us where our listeners can find you online? If they want to learn more about you and grab a copy of your book and to learn a little bit more about what you do with media training. Bonnie: Yup, absolutely. So my website and my blog is called better than dieting that come and my favorite place to be his instagram. And there I am at Bonnie Taub-Dix, @bonnietaubdix and I’m also on Facebook at Bonnie Taub-Dix RD. And on twitter I am at @eatsmartbtd, I believe on Pinterest. I’m Bonnie Taub-Dix as well. And the other thing that your audience may really enjoy is that I put out a weekly news digest and um, I could send you the link to that too if you want to put that in your notes, but you can also find it on my website betterthandieting.com. And the reason why I say that your listeners might be interested is because, as I mentioned, I’m interviewed for several, for several stories every week. So three or four stories every week for top tier publications. Bonnie: And this is what goes in my newsletter and where this is helpful is I think that when you look at what journalists are asking me to talk about, you’ll find that this is what could be fueled for your book and for your writing and I, and if you do, right, this is also another thing that I teach in my course is even just starting out writing for your local newspapers, uh, or, or, or magazines that even though that may not be the subject that you want your book to be about, once you established herself as a writer, then the publication would be interested in your book and all other things that you may need to say related to your book. So it’s a great way to get your foot in the door and also to get some practice with writing and being published. Beth: Yes, absolutely. That’s great. Great Advice. Do you have any other, like one final tip or piece of advice that you would like to share with our listeners to kind of end the interview on? Bonnie: Oh my gosh, what can I say that is the most inspiration? You know, I, I think that it takes a lot to write a book and although it sounds really glamorous, I’m just, it’s really very in terms of the time it will take from you taking you away from your family, take you away from other projects, but it really, really is something that could be important for you and I feel like you know how people have a legacy. It’s something that you leave behind. It’s not something that you have to leave behind. This could hopefully be the first work that you do, but I think that try to explore. Bonnie: If you, if you get published by a traditional publisher, that’s great. You get an agent because the agent will negotiate a better price for you. Then you might otherwise get for yourself, so agents often take 15 percent of the amount of money that you’re getting from the publisher, but it could really be worth it for you. But if you don’t want to go that route and you want to start on your own, then explore a sites like createspace and just put something together for yourself. Even started an ebook. You don’t even have to go to createspace, just do an ebook and then you could even sell it on your own site, but I think that this, as I mentioned, this can be the springboard for so much more. Bonnie: Thank you. And also on on instagram, usually once a week, I do post something related to my book or some food shopping tips, so be sure to stop by @bonnietaubdix on Instagram and say hi. Beth: Absolutely. Thank you, Bonnie. Bonnie Taub-Dix, MA,RDN,CDN is the award-winning author of, Read It Before You Eat It – Taking You from Label to Table, and creator of the website and blog called, BetterThanDieting.com. Bonnie is a media personality, media trainer, spokesperson, motivational speaker, journalist, and corporate and brand consultant whose messages are laced with her culinary passion as a foodie, her credible guidance as an advisor and her wit and wisdom as a mom. Bonnie is Director and Owner of BTD Nutrition Consultants, LLC, with offices on Long Island and in New York City. Bonnie is a Health & Wellness Blogger and Contributor for TODAY.com, US News & World Report, Everyday Health, INSIDER, THRIVE Global, Better Homes & Gardens, Family Circle and Vitamin Shoppe’s What’s Good V. Her stories, quotes, and interviews have appeared in thousands of stories in all forms of media comprised of television and radio shows and print and online platforms. 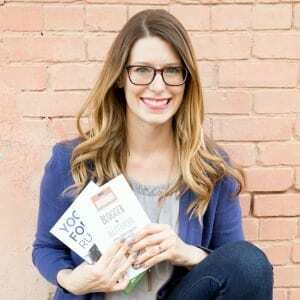 She is an advisor to global corporations, food companies, and media outlets, through her stories, media/social media campaigns, Twitter chats, Facebook LIVES, Instagram takeovers, wellness programs, and workshops for health professionals and consumers. Bonnie is a past spokesperson for The Academy of Nutrition and Dietetics and the recipient of their prestigious Media Excellence Award. Her favorite pastime is cooking in the kitchen with her family! Even more important than some subjects you learn in school…Bonnie has set an example when setting her table by teaching her kids that nutritious and delicious can exist on the same plate. On a personal note, Bonnie is grateful to be able to do what she loves every day and she takes pride in being referred to as, “genuine,” “sincere,” “reliable,” and “professional.” She is married and has three sons, a daughter-in-law and a grandson…all foodies!